Opening in November 1918, the Cozy Theater had the finest motion picture equipment in the Midwest. The building shows influences from the "Prairie School" of architecture originating at the 1893 Chicago World's Fair Columbian Exhibition. Opened in 1880 by A.H. Bartell and John K. Wright, the Bartell House offered 66 rooms, parlors, offices, and a dining room with murals painted by Junction City artist Bertrand Hartman. 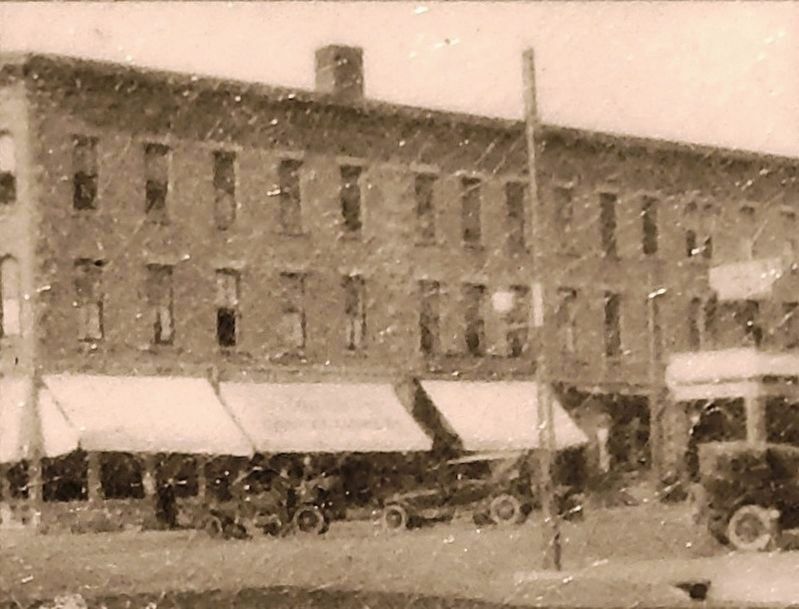 There were street-level shops, and the Junction City Post Office was located in the southeast corner of the building from 1888 until 1917. Among famous guests at the hotel were General Funston, General Wainwright, Sally Rand, Ann Sheridan, Gene Tierney, Al Jolson, John Phillip Sousa, W.C. Fields, and Gloria Vanderbilt. When it closed as the Lamar Hotel in 1979 it was the last operating hotel in the City. The stone archway on the 6th Street side of this building was an entrance for Ira Bermant's Exquisite Bottling Works, a turn-of-the-century soda bottling works. The front of the building included Bermant's Lyric Theater, and later, the Palace of Sweets, a soda fountain and candy store. This building dates from around the turn-of-the-century, but what the name "Rialto" at the cornice signifies, remains unknown. Mike Frey, later a postmaster in Junction City, ran a restaurant here in 1908. From 1919 until 1977, the lower floor housed the Good Eats Café operated by the Maduros brothers. 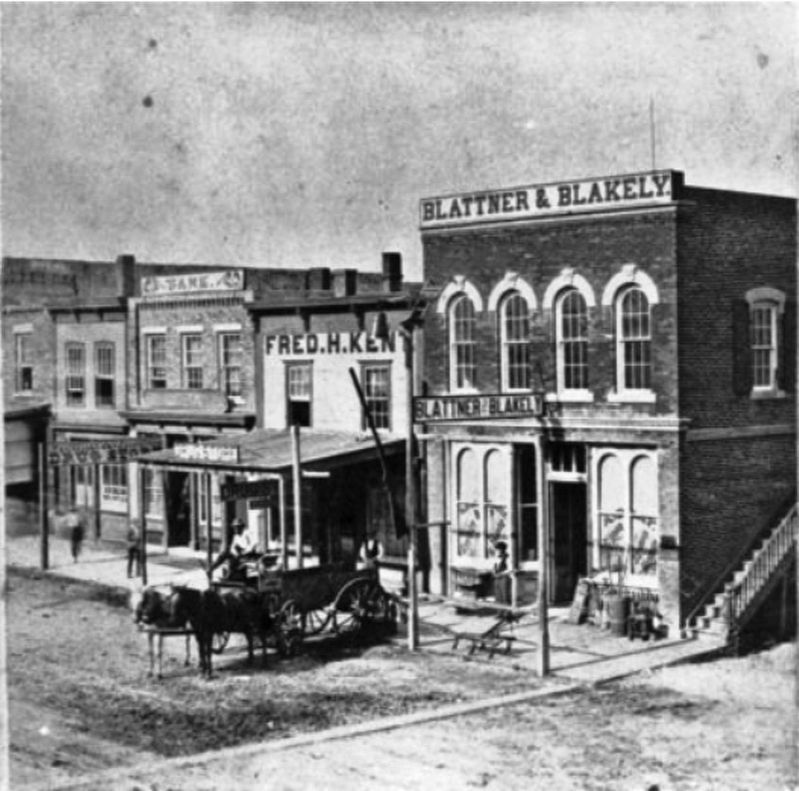 These two buildings were built before 1882 and were the homes of Blattner and Blakely's hardware, stove, and agricultural implements stores. The date "1888" at the top of the building indicates a remodeling of the building in that year. This building was built in 1905 by local contractors, Charles Ziegler and J.T. Dalton (hence the "Zee-Dee" at the cornice line) to replace the Pegues and Wright Store at this location which had burned. This building was later occupied by the J.C. Penney Store from 1926 until the late 1980s.
. Marker is at the intersection of North Washington Street (Alternate U.S. 77) and West 7th Street, on the right when traveling south on North Washington Street. Touch for map. Marker is located along the sidewalk at the northwest corner of the intersection, facing south. 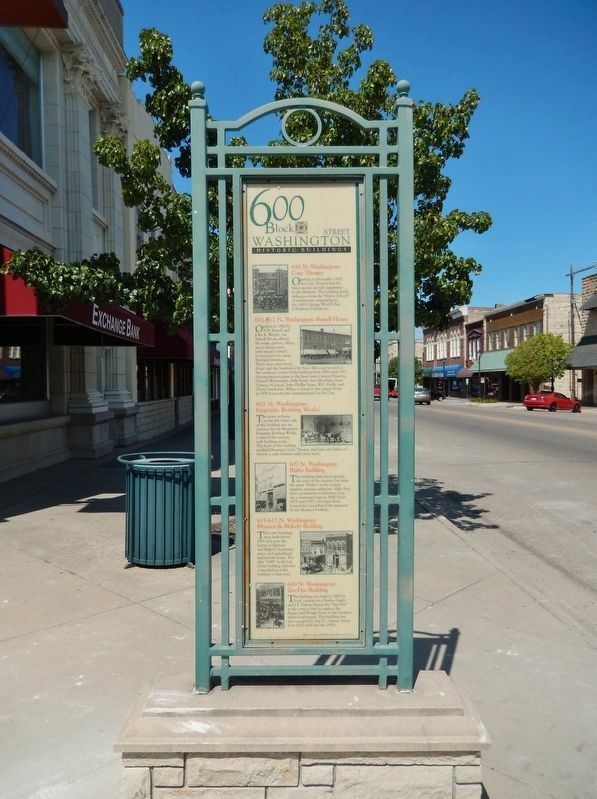 Marker is at or near this postal address: 702 North Washington Street, Junction City KS 66441, United States of America. Touch for directions. Other nearby markers. At least 8 other markers are within walking distance of this marker. 7th Street East & West of Washington (here, next to this marker); George Smith (within shouting distance of this marker); 700 Block Washington Street (about 300 feet away, measured in a direct line); 800 Block Washington Street (about 300 feet away); Civil War Memorial Arch (about 500 feet away); State of Kansas Vietnam Veterans Memorial (about 700 feet away); Purple Heart Memorial (about 700 feet away); 1st Infantry Division Memorial (about 700 feet away). Touch for a list and map of all markers in Junction City. More. Search the internet for 600 Block Washington Street. Credits. This page was last revised on March 31, 2019. This page originally submitted on March 29, 2019, by Cosmos Mariner of Cape Canaveral, Florida. This page has been viewed 44 times since then. Photos: 1. submitted on March 29, 2019, by Cosmos Mariner of Cape Canaveral, Florida. 2, 3. submitted on March 31, 2019, by Cosmos Mariner of Cape Canaveral, Florida. 4. submitted on March 30, 2019, by Cosmos Mariner of Cape Canaveral, Florida.